They were very helpful right from the first phone call. They explained our options and quoted fair prices. They even gave me time to think about it until I was ready to call back. The day they came they were on time and did their job wonderfully and quickly. I was referred to Smart Doors by a friend when the spring broke in my garage door. Michael came by to replace it and at the same time serviced my garage door opener as well. As a real estate agent I have maintained a relationship with Smart Doors and refer them to all my clients looking to give their homes a more updated look before putting them on the market. I am very happy and will continue to recommend Smart Doors. It is always a pleasure doing business with you! Thank you for your referrals!!! The choices, prices and service were all excellent. I definitely recommend Smart Doors. The time frame for order and installation was exactly as promised and the work was done beautifully. It was our pleasure and thank you! My garage door needed to be replaced. Not only was the door old and outdated but it also made the house look run down. 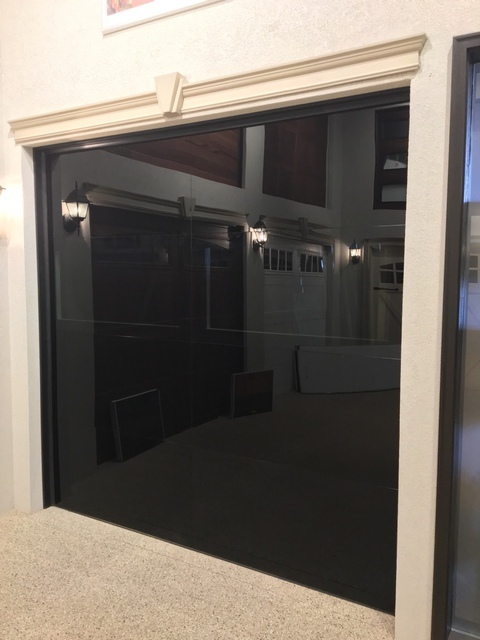 I replaced the garage door with the Carriage style door and had the wood frame around the door capped in aluminum - no more painting wood frames! The house looks like new! The difference that one new door can make! 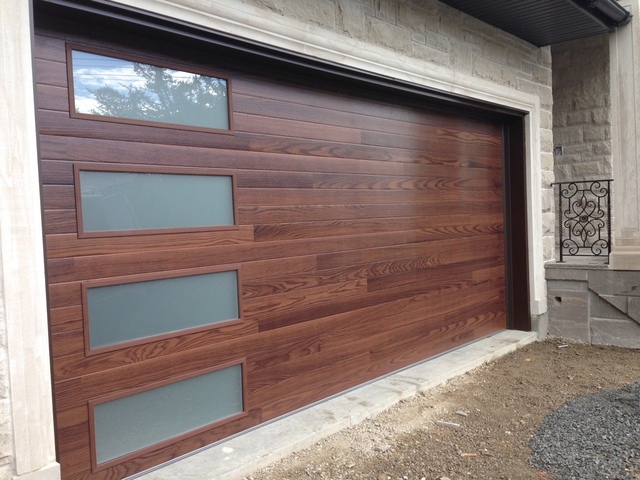 Smart Doors were very helpful and professional from beginning to end. They helped me choose the door that would best suit my house and the price was fair. The installers did a great job and left everything clean. I will definitely recommend this company. I have a rental property and the existing garage door opener was very old and needed to be replaced as it was starting to have problems. I called Smart Doors and they gave me all the information and pricing I needed over the phone. The installer came the very next day to replace the opener. He was very professional and explained how to operate the opener and program the remotes if I ever needed to reprogram them. I was very happy and impressed with the service I received and will recommend Smart Doors to my family and friends. We not only do doors but all kinds of services like openers, capping, springs, cables etc. We appreciate your business! Thank you for choosing Smart Doors! I moved into a new house seven years ago. 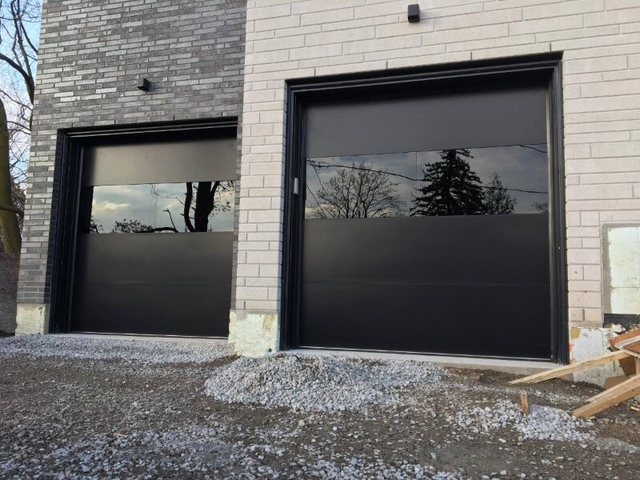 Three years ago, my wife and I decided to replace the garage doors provided by the builder with something more aesthetically appealing, as well as, more efficient. A friend of mine recommended Smart Doors. A rep came by the house and spent time showing us various designs and colours. We decided on beige overlay carriage doors. 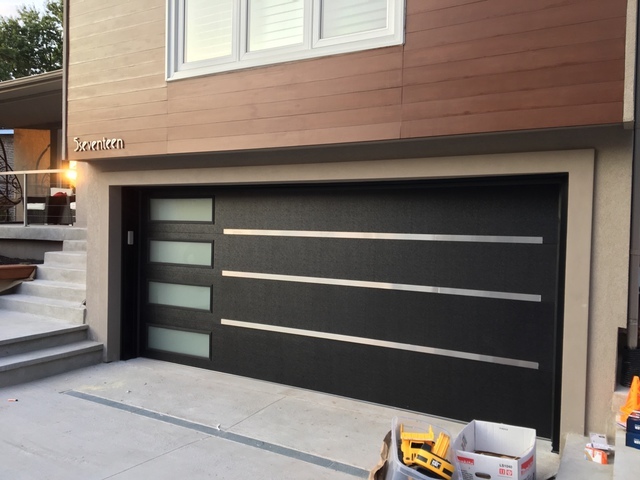 The new garage doors look great and provide much more insulation than our previous ones. The doors totally changed the look of our house and added more curb appeal. Since then, I have recommended the company to family and friends. You will not be disappointed if you decide to use Smart Doors Inc. Thank you for your business and kind words! 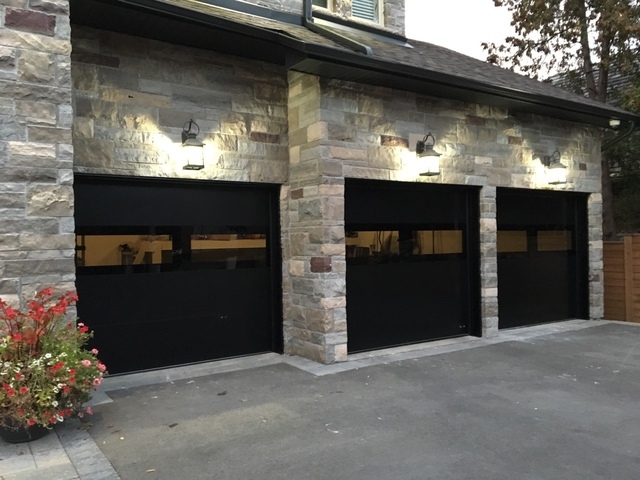 Smart Doors is the smart choice for all your garage door sales, service, and installation needs. 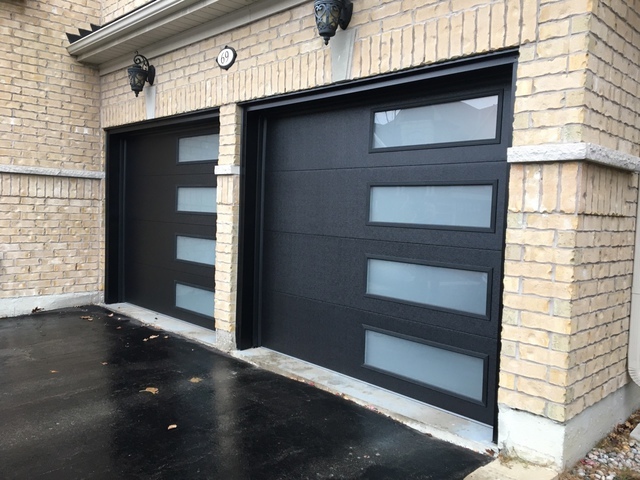 With hundreds of satisfied clients and over 10 years of experience in the Greater Toronto Area, Smart Doors offers quality service and installations of garage doors. We offer a product range of a wide choice of styles, designs, and colors. Our manufacturer C.H.I. even offers their own parts guarantees which cover their products for a lifetime. The Smart Doors guarantee is among the best in the industry and we stand behind our manufacturer with our own two-year, hassle-free labour guarantee. 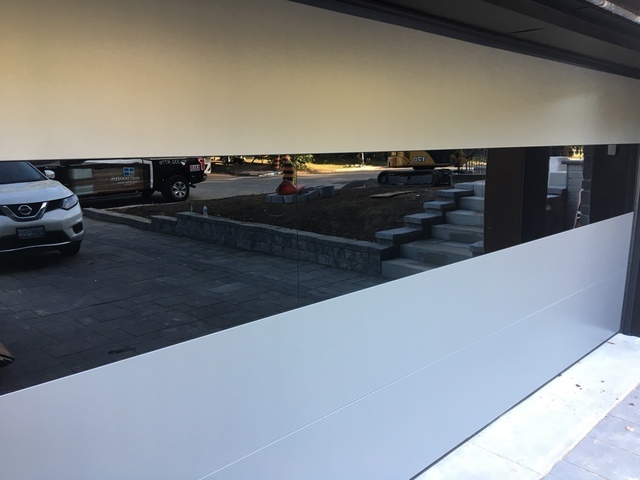 Garage Doors, Garage Door Openers,Garage door maintenance and opener service, Custom Overlay & Carriage House Garage Doors, Glass doors, Fiberglass Doors. Installation, service, & repair of Garage Doors, Garage Door Openers, Aluminum Capping, Spring repairs, Cable repairs. Accent Doors, Carriage House Doors, Fiberglass doors, Overlay doors, Glass Doors, Custom Specialty Doors.